Make your next project stunning and bold! 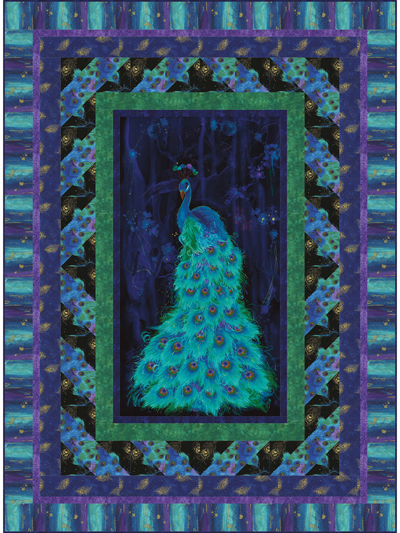 This beautiful peacock pattern is sure to add whimsy and delight to any home. Mesmerizing jewel tones and streaks of metallic gold pop on a black background and are as breathtaking and elegant as the peacock itself. Finished size: 56" x 76". 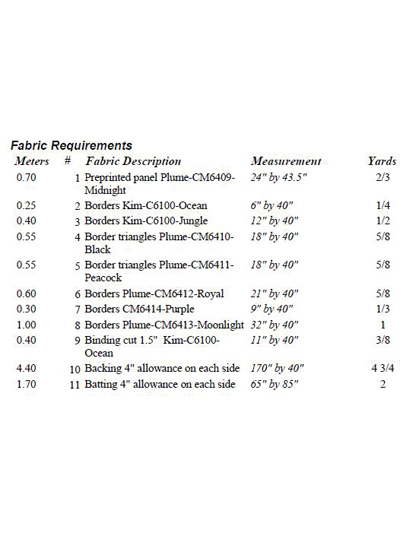 Fabric not included.